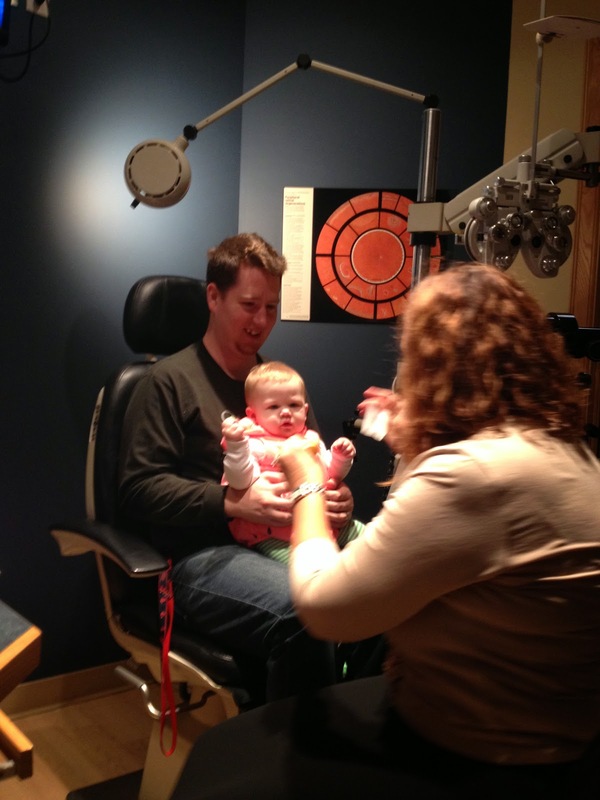 Way back in October, Emma had her first visit to the Eye Doctor. 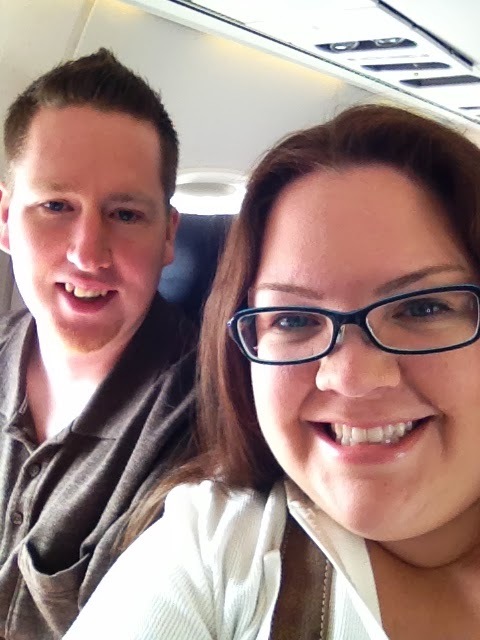 It's recommended they get a checkup at 6 months.. and knowing how we both have bad eyesight, we thought we'd get a jump on it. 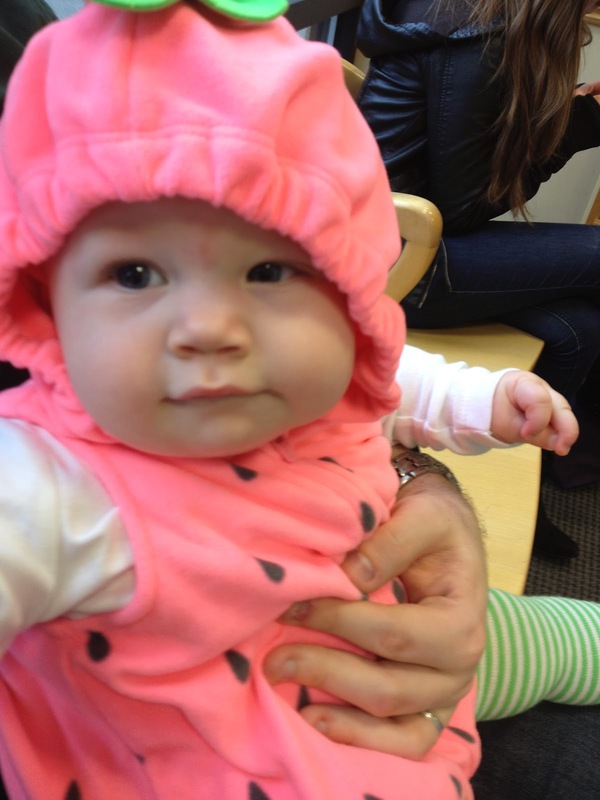 She did great... and yes, it was Halloween so she went as a strawberry.